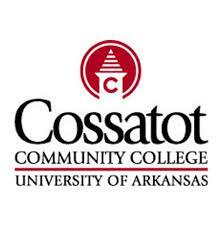 Cossatot Community College of the University of Arkansas is an NCA-accredited two-year institution affiliated with the University of Arkansas System. It has campuses in De Queen, Nashville and Ashdown, Arkansas. Located in the foothills of the scenic Ouachita Mountains, Cossatot offers degrees and certificates in more than two dozen fields. The College also offers four Associate̠s degrees completely online, and has a roster of more than 60 online courses. CCCUA has long had a forward-looking reputation for causing things to happen in ways that other colleges and universities would never consider. It is for this attitude that U of A System President Dr. B. Alan Sugg calls Cossatot: The Can-Do College.